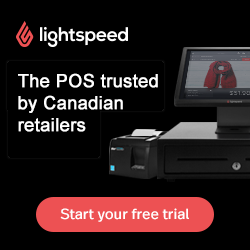 This is an exciting time to be a brand or retailer in Canada. Chinese travelers come ready to spend on products they cannot find at home, as well as on special experiences throughout their trip. 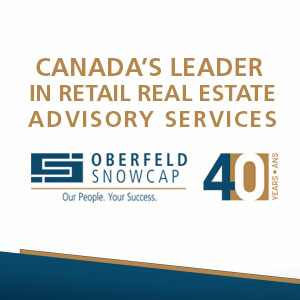 However, in order for retailers to best serve this lucrative and growing market, it’s important to prepare for this consumer’s preferences and shopping behaviors – addressing the cultural differences and barriers that may make it challenging for them to shop in Canada. In China, mobile wallets are used for much more than payments -- they are also connecting users with an experiential ecosystem centered around everyday life. Mobile wallets in China are not only used to pay and transfer money to friends and family, but also for everything from booking movie tickets and calling taxis to paying utility or hospital bills and searching for nearby merchants’ coupons and deals. Holt Renfrew, Oxford Properties’ Yorkdale Shopping Centre and Ivanhoé Cambridge shopping centers are among those in Canada that are already embracing the Chinese shopper by adapting to their cashless lifestyle, offering incentives to shop and accepting familiar payment methods. Embrace the Cashless Lifestyle. Chinese consumers are early adopters of the cashless lifestyle, and their use of mobile wallets drives their purchase decisions. A recent report by Nielsen found that nearly all Chinese travelers (91%) would be more willing to shop and spend at overseas merchants if they accepted Chinese mobile payments. Furthermore, 93% of Chinese tourists would use mobile payments overseas if given the option. When Chinese consumers visit Canada, whether it’s to work, study or travel, they bring this expectation for a cashless lifestyle with them. Offer Incentives and Convenience. Mobile wallet acceptance opens the door for Canadian retailers and brands to connect with Chinese consumers before, during and after their trip, helping them to find the location of the store and receive offers or promotions through push notifications. When they know they can use their favorite mobile app at the register, the stress of language and payment barriers is diminished. Accept Familiar Payment Methods to Build Loyalty. Canadian retailers and brands that offer familiar in-store payment solutions to Chinese shoppers will provide a welcome experience that may not only incentivize purchases, but also encourage loyalty. This can result in reoccurring store visits and even broaden awareness through word-of-mouth within the community. As mobile payment acceptance builds in Canada, merchants that accept payment through Chinese mobile wallet apps will be better equipped to innovate faster and readily meet the changing demands of Chinese shoppers. Today, when a Chinese traveler arrives in a Canadian city, they will expect to use their preferred mobile wallet app to not only pay at the register, but also connect with Canadian hotels, restaurants, cab companies, ticket distributors, and more at thousands of locations across Canada. This significantly diminishes currency and language barriers, making it easy for them to shop without the friction international travelers face when confronted with different forms of payment. Rita Liu joined Alipay in 2010 and was initially responsible for driving partnerships with major Chinese banks. From 2014 to 2017, Rita was Head of EMEA for Alipay, based in London, responsible for Alipay & overall business in the region, overseeing business development, operations and marketing activities. She has recently taken new responsibility as Head of Canada, starting to build the firm’s business and strategy in Canada. Before joining Alipay, Rita worked with American Express as business development manager. Follow her on Twitter at @rita2016alipay.